Making the choice to begin counselling can be one of the most important and life changing decisions you ever make. We all experience challenges that we cannot navigate alone. I am passionate about helping individuals achieve positive emotional and psychological change in a warm and friendly environment. 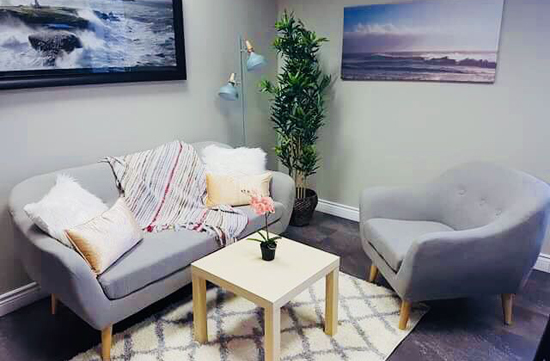 Whatever hard time you may be going through, counselling will provide a safe space to gain insight, share your story and develop the coping skills you need get back on the path to wellness. Everyone's story is unique, and no matter what situation you find yourself in or how you got to this point, I will help you get to where you want to be. Its time to start feeling better and I am happy to share in this journey with you. Societal pressure and the media pushes girls and women to feeling that they are never good enough. If you are suffering from low self esteem, including body image insecurities, you know that this can deeply impact all areas of your life. I can help guide you to restore your self esteem so you can experience more satisfaction, confidence and fulfillment in life. Its time to love yourself once again. Are you feeling overwhelmed and anxious navigating your career, personal or family life? Are your fears and worries holding you back from fully enjoying your life? If so, you know how Anxiety can be a debilitating suffering which can even lead to feelings of depression and isolation. In counselling you will learn healthy coping strategies to combat anxiety and stress. I will work with you to help eliminate anxiety and stress from your life, and get you back on the path to wellness. Relationships are hard work! Whether you are struggling in your relationship with your spouse, your child, your parents, friends or significant other, counselling can help you improve and learn new strategies for dealing with difficulties in your relationships. Through counselling, I have helped many individuals overcome relationship hurdles. I will help guide you to learn positive communication skills that will help rebuild the relationship in your life that needs restoration. Although sadness is a normal human feeling from time to time, prolonged sadness or depression should always be assessed by a professional so that you can receive the help and support you need. If you are experiencing symptoms of depression or wishing you could escape from your current situation and feeling as though you are unable to enjoy your life, counselling can help you feel 'normal' once again . Anxiety, social media addiction, bullying, cyber-bullying, body image insecurities, family conflict, parental separation, relationship struggles and depression. I am passionate about helping adolescent girls with their struggles so they can have a happier adolescence despite all of the challenges girls experience daily. I use play therapy, Cognitive Behavioural Therapy, and Strengths Based Therapy to build on strengths and skills and enhance confidence! Girls have commented that they feel comfortable talking to me because I am young, genuine, friendly, and non-judgemental. Teen girls are bombarded with potential risks to their safety in all areas of their lives. This 8 week Empirically tested Strengths Based Group, is proven to prevent and decrease harmful behaviours in teenage girls. This revolutionary program will center around education, activities, and discussions with peers, while also empowering girls on their path to womanhood. Teenage girls are living in a technological age with cell phones and Social Media use being a prominent part of their day. With this increase in online activity and cell phone use, has also come an increase in negative mental health issues such as anxiety, lower self esteem, depression, and suicide. Did you know that almost 50% of teenage girls have sent or received a sexually suggestive text message? Girls circle will address these pressing issues and help girls navigate the digital world of social media and cell phone use. With all the challenges girls are facing with technology, peer pressure, and pressure from the media, the mental health of girls is greatly declining with each passing year. In Girls Circle, we will address the common hardships girls face in their personal life, family life, and academic life. We will discuss in great length mental health concerns and learn positive coping skills to replace or prevent unhealthy coping habits. Discusses the Risks associated with Alcohol and Drug Use and Helps Encourage Girls to Rise Above! This segment of Girls Circle will increase girls awareness of alcohol and marijuana use and its impact on the brain, physical health, learning and memory. We will discuss girls aspiring goals in life regarding family and career, and how alcohol and drug use can be a major stumbling block to achieving their goals. Using real life examples and storytelling, girls will be inspired to rise above these challenges and will learn the facts about these unhealthy common behaviours. During our initial meeting, I will talk to you about your goals for counselling. I will listen attentively and ask relevant questions about your life, your family, and your history. My empathic and genuine approach will help you feel at ease during our time together. I will encourage you to openly share your thoughts and feelings about what matters most to you, and to ask any questions you may have. In the first session, you may expect to collaborate to develop a flexible plan for the coming weeks. During our counselling sessions, I will use various therapeutic approaches depending on your specific needs. My approach is laid-back, yet semi-structured. Cognitive Behavioural Therapy (CBT) will likely be used as the primary method of treatment. CBT is a structured, problem focused,and goal directed form of therapy , which is based on the realization that our thoughts can influence our feelings and behaviour. I will be working with you to challenge any negative automatic thoughts, in order to assist you towards positive thought, feeling, and behaviour change. Research has consistently shown that CBT is often more effective than medication for treating even the most severe mental health issues such as clinical anxiety and depression. Cash, E-transfers, or credit card payments are accepted and payment is required at the end of each session. Many employee extended benefit plans provide coverage for counselling services. I am happy to provide you with everything you need to send to your insurance company for possible reimbursement. One on one counselling in a comfortable office environment. Walk and talk therapy is an option during the warmer months. Groups vary from season to season. Each group is typically 120 minutes. 50 Minute session of online video counselling.